Domcrete is Australia and New Zealand’s leading supplier of GFRC for the use of countertops, furniture and concrete art. Domcrete is a proud stockist of Buddy Rhodes Concrete Products, as well as Smooth-On Rubber Mould Making Products. We provide products, services and solutions to our customers with our core business being product supplies and training to support our customers in establishing and expanding their GFRC Countertop Business. Founder and Director of Domcrete started in the concreting industry in 1992 as a labourer in his father’s concreting business. By 1998, Domenic started his own concreting business which he ran successfully for almost 20 years. Domcrete went on to become a reputable, award-winning concreting business. The diversification into GFRC Countertop Supplies was a natural and inevitable step in the growth and progress of Domcrete and after a number of years of intensive training, research and planning, Domenic created Domcrete GFRC Countertop Supplies, incorporating Domcrete GFRC Training Facility. Recently, Domenic expanded to include Rubber Mould Making products and training. 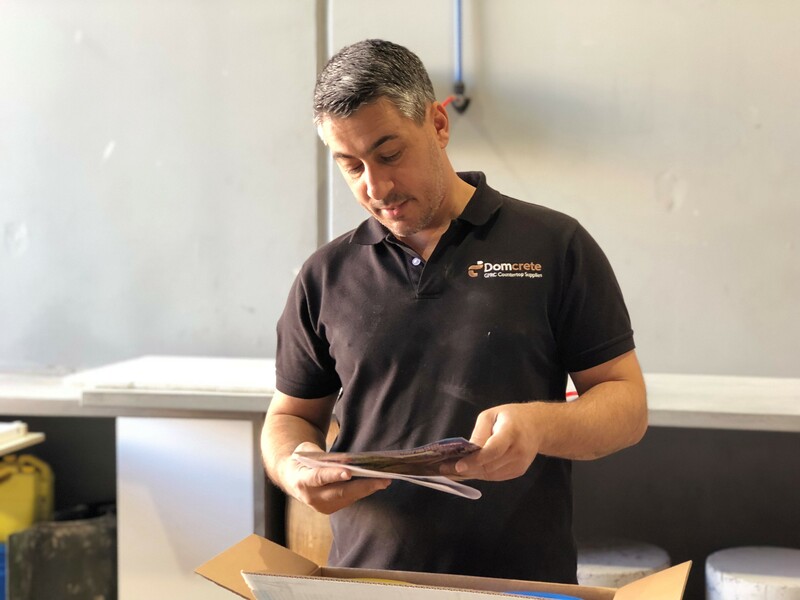 Domenic and the whole Domcrete team are committed to providing all customers with excellent customer service, great advice, a huge range of quality products and incomparable initial and ongoing training.